One of the best parts about summer is Germaine does a lot of the cooking. 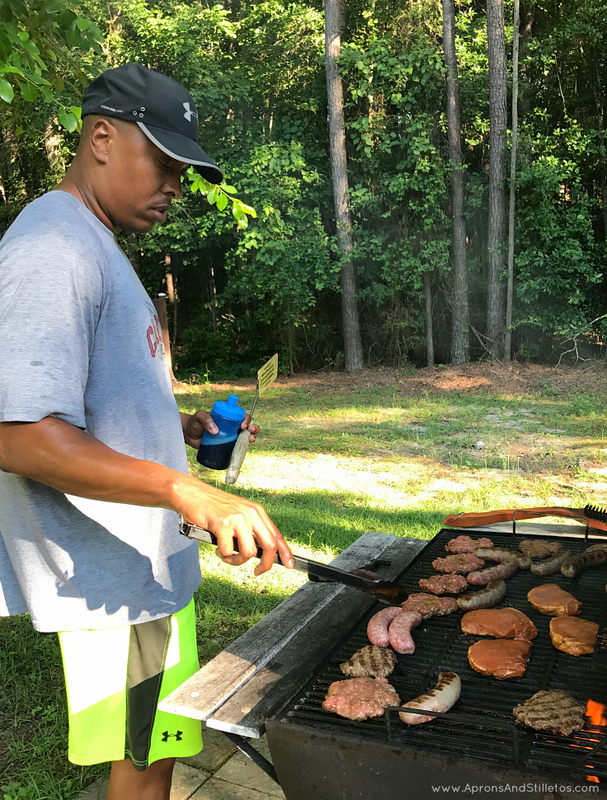 Frequent grilling was a big part of his childhood growing up in the south. It’s also a rite of passage for the males. When I watch him and his friends text pictures to each other showing off thier skills and touting thier grill master bravado I think it’s so adorable. I’m usually in charge in the kitchen, but when he fires up the grill I become his sous chef. I’m responsible for seasoning the meats and making the sides. 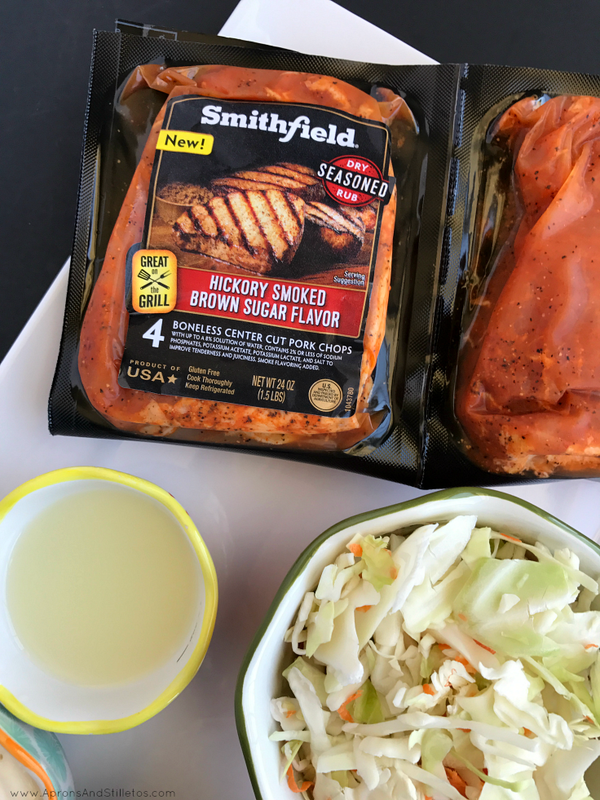 This weekend I decided to take a shortcut and try one of the new Smithfield® Marinated Fresh Pork. They’re made from 100% fresh pork and no artificial ingredients. I bought a pack of Smithfield Hickory Smoked Brown Sugar Marinated Fresh Pork Chops from Food Lion for the grill and made a Mint and Lime Basil Slaw to go with it. Germaine grilled the pork chops while I made the slaw. He grilled them for about four minutes on one side, then rotated them to create a criss cross grill pattern. He grilled them another four minutes before flipping them and repeating the process. 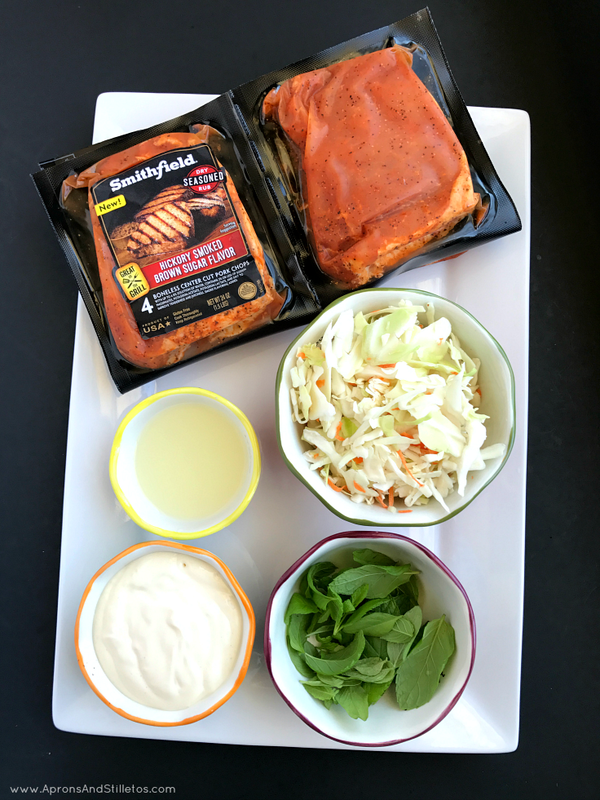 By using shortcut ingredients the slaw and pork chops were ready in under 30 minutes. The final piece to this meal was the slaw. Let me show you how I made it. 1. Add the mayo, honey, lemon juice, basil and mint to a food processor and pulse until creamy. 2. Place the slaw in a bowl and pour the contents from the food processor over the slaw. Mix until coated. 3. 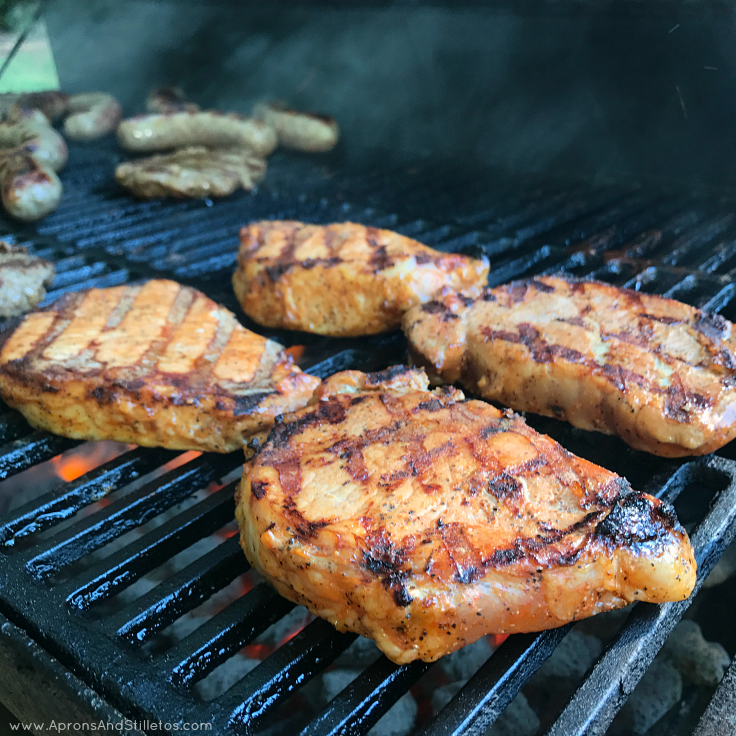 Add a cup of slaw and the grilled Smithfield Hickory Smoked Brown Sugar Marinated Fresh Pork Chop to your plate and enjoy. 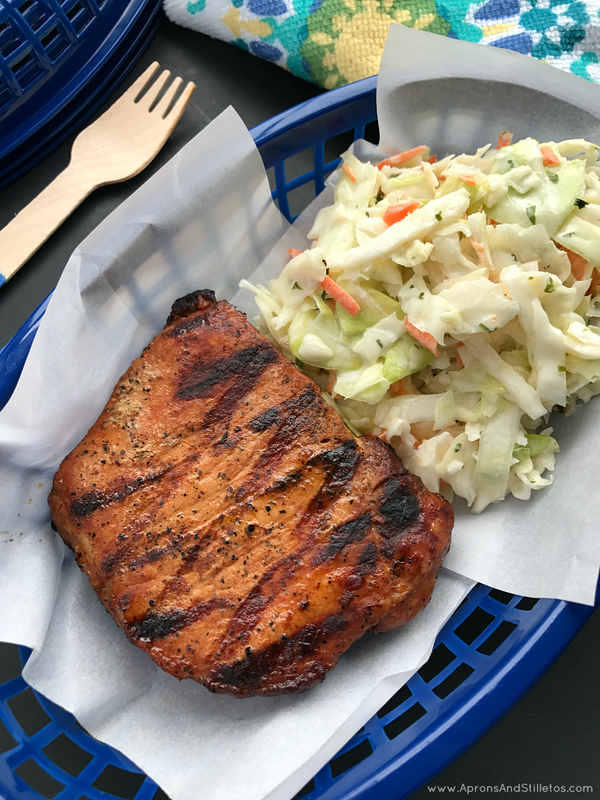 The pork chops grilled up nice and tender and paired perfectly with the light coleslaw. I hope you enjoy this recipe as much as I do. To help you with your shopping, visit the Food Lion website for a $1.00 coupon on Marinated Fresh Pork. Then head here to enter the “What Can you do with 30?” sweepstakes. Submit a tip for getting dinner on the table in 30 minutes or less for a chance to win a trip to Napa Valley. Ah, I love this! Why can't we be neighbors?! lol My husband does not like to grill so we don't have a grill. I just planted new basil plants and I have mint and chocolate mint growing from last year! I think I'm going to make that slaw and may have to buy a pack of those pork chops, too. I become sous chef when my husband is on the grill too! We love cooking pork chops so I'll have to look into these. Yeah for grilling weather! This could be a good date night meal and it doesn't appear to require much time. I love making my own slaw. These look amazing! We just moved and don't have our grill out, I need to get it out this weekend. I rarely use mint in my cooking, but I need to start. This recipe sounds so perfect for summertime. I love slaw, seriously! When I worked outside of the home for a year, I would always try new slaw offered from our local deli. 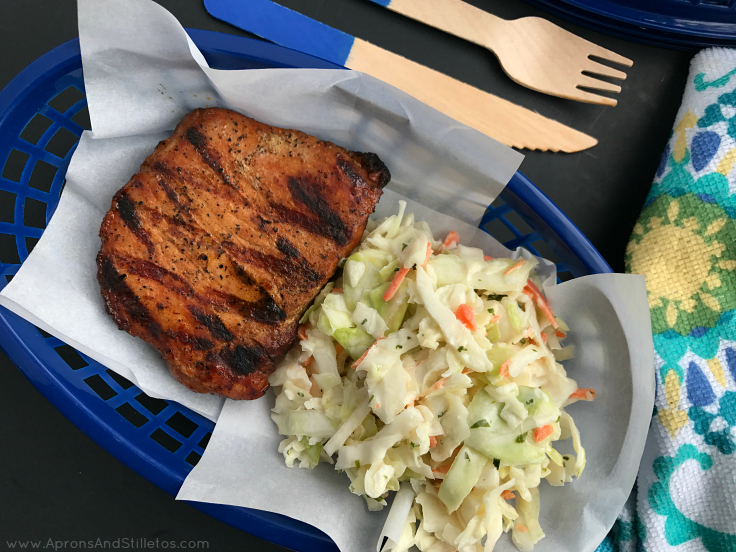 I am so going to try this — grill up some pork chops (yum) and make up the slaw! This looks SO good! Love pork chops. YUM-O! This sounds delicious and fairly easy too. I love the idea of the lime basil slaw. Going to give that one a whirl soon! YUM! I like that these come pre-marinated because that's the hardest part for me! Trying to determine the best combination of spices and such to marinate my meat! Oh wow, that sounds ah-mazing. I need to make this for my family! They will love it.